The recipe begins with trimming off the excess fat from the steaks and by coating them in the Montreal steak spice. 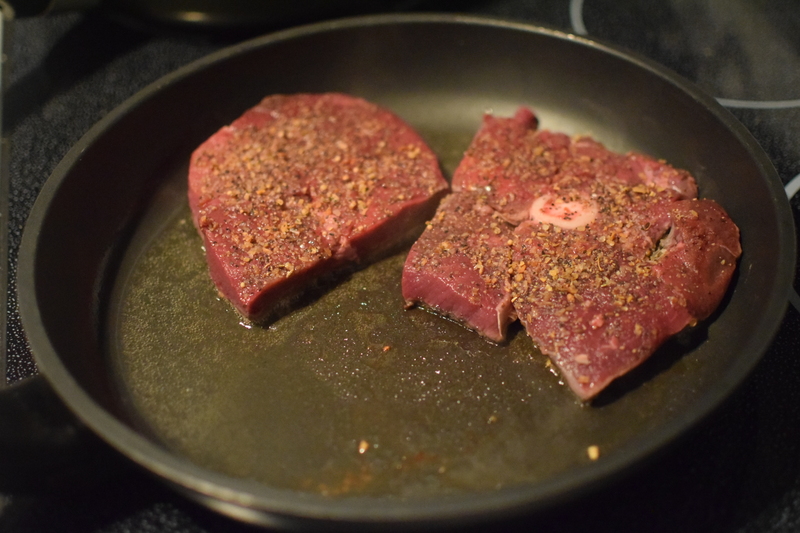 The steak spice is optional, and can be substituted for salt and pepper. 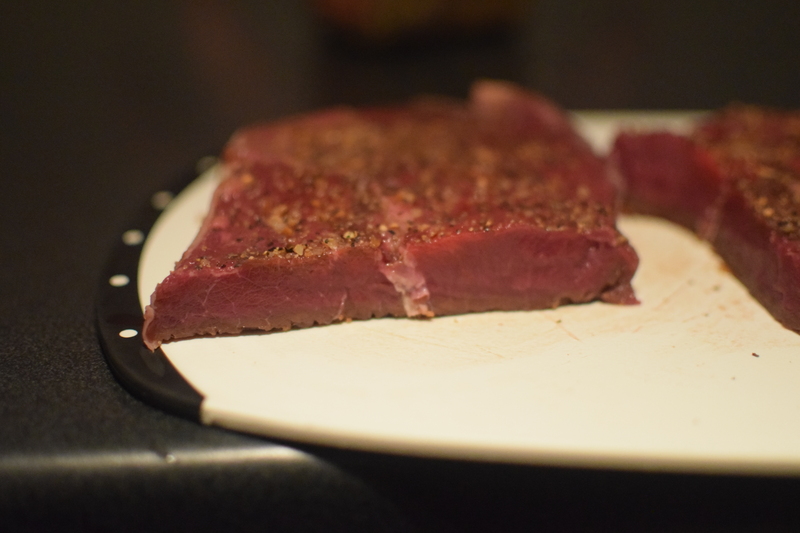 I like to dry my venison with a paper towel and let it rest in the spices for a few minutes prior to cooking. 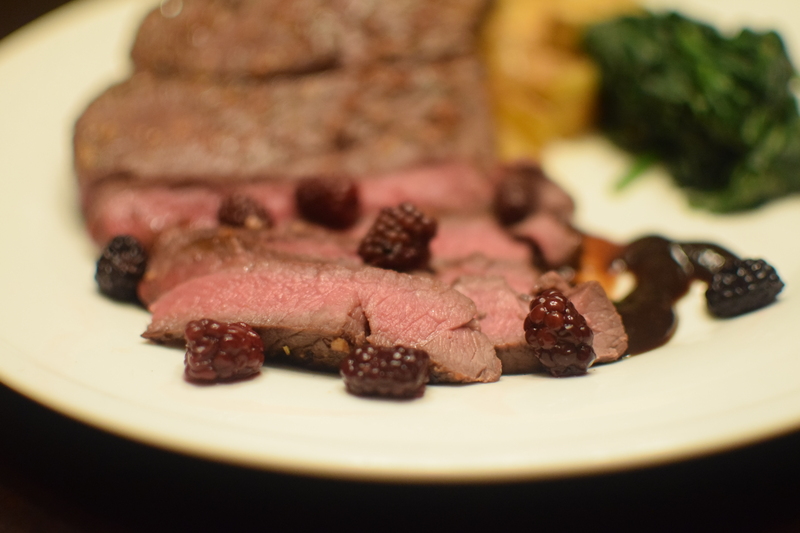 Drying is key to an even cooking throughout and a good brown on the exterior while maintaining a medium to medium rare cooking. 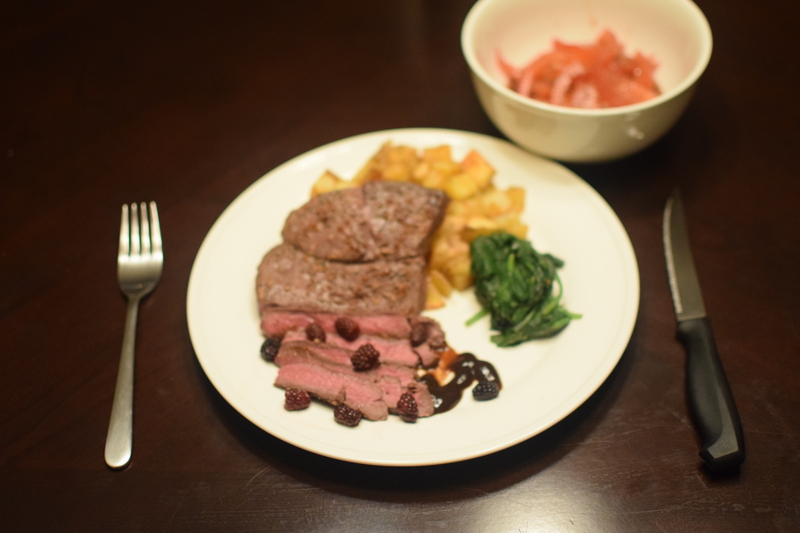 The last component of the meal was braised spinach. I melted a bit of butter in a pan and added some minced garlic. Once soft, I add the spinach and a splash of lemon juice to the pan. Cover and cook until soft. Remember, the spinach will cook a bit even after removed from the heat so avoid the initial over cooking.